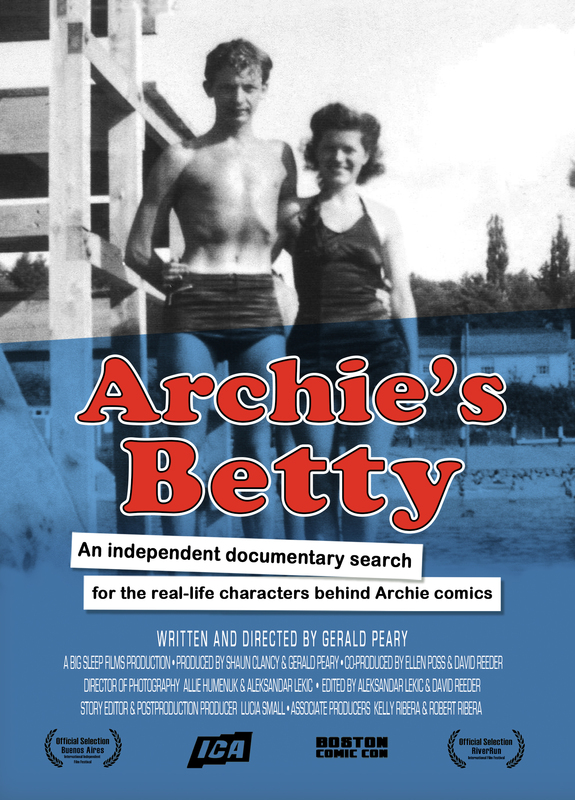 Archie’s Betty is an independent documentary search by journalist and filmmaker Gerald Peary to determine if the characters in Archie comics—Archie, Betty, Veronica, Moose, Jughead. etc.– were modeled on real-life people. As an Archie-obsessed child, Peary believed that somewhere in America there was a real town of Riverdale, where Archie and his teen friends went to school. As an adult, he found that his fantasy might have basis in fact. Riverdale could be the city of Haverhill, Massachusetts, where Bob Montana, the original cartoonist of Archie, attended high school in the mid-1930s. Did Montana love Haverhill High so much that he based Archie characters on students in his classes? Was Archie inspired by a girl-crazy Haverhill High cutup? Was Veronica modeled on the most popular girl at the high school? Was Betty based on the girl living next door to young Bob? And what of Moose and Jughead? For Archie’s Betty, Peary meets with Montana’s surviving classmates, a veteran Archie cartoonist, and Archie experts to unravel the real story. The search culminates at a senior living facility in Edison, New Jersey. Might a 91-year-old woman living there, far from Haverhill, be the basis for one of Archie Comics’ immortal characters?